Bluetooth and digital optical inputs give you versatile connectivity. 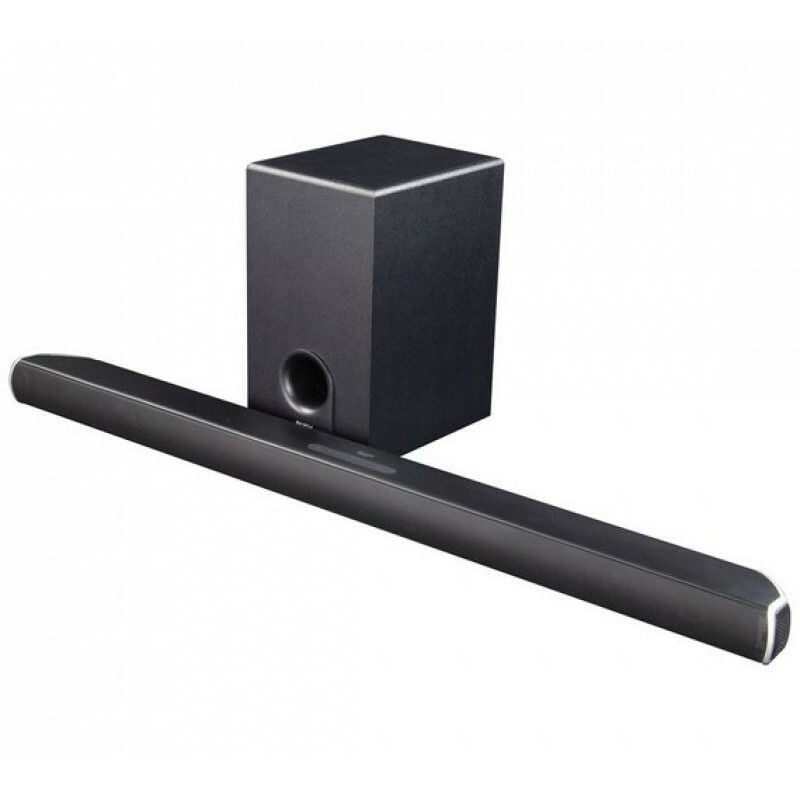 This sound bar has a low profile of 52mm high, so it will sit neatly under most modern TVs. Enjoy 200W of sound, bringing TV audio to the top of its game and perfect for movie lovers who want cinematic quality. 4 performance 1.5 drivers create clear mids and vibrant highs. A separate wired 5.25 subwoofer gives deep bass performance. Total power output: 200 watts. Remote control (batteries not included). 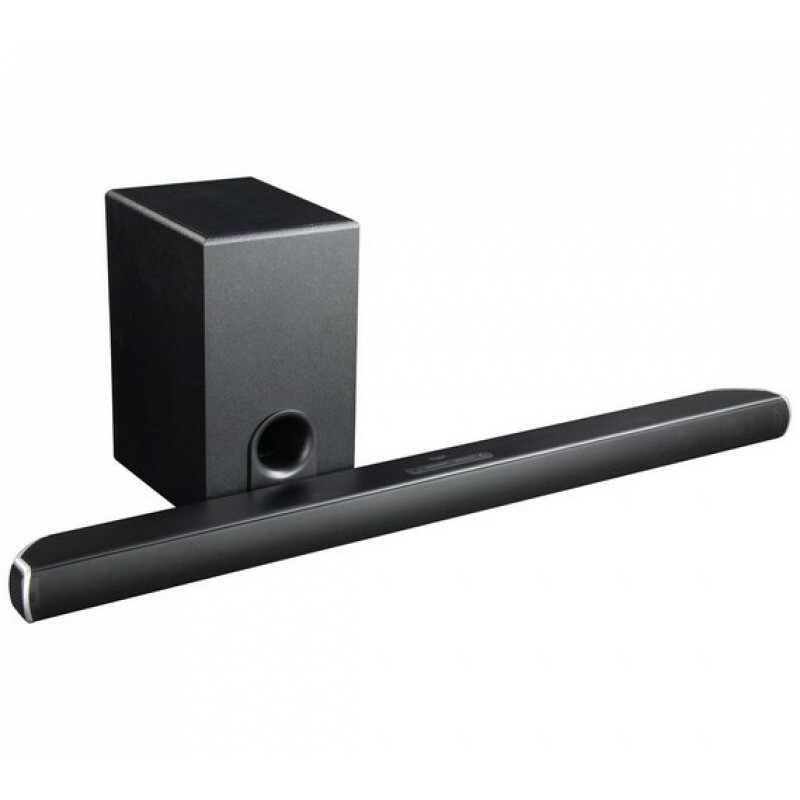 Size of speaker bar H5.5, W92, D8.5cm. Weight of speaker bar 5.8kg. Size of subwoofer H29.6, W17.8, D22.1cm.